Lumps of concrete, piping and fish crates have been dumped, with the Highlands as the scene of three of the worst-affected areas in Scotland. An innovative project has involved aerial photographs being taken to identify a host of polluted areas – which could ultimately help volunteers and organisations more accurately target beach clean-ups. SCRAPbook – Scottish Coastal Rubbish Aerial Photography – is a collaboration between three charities, the Marine Conservation Society (MCS), Sky Watch Civil Air Patrol and the Moray Firth Partnership. It involves pilots and observers taking to the skies to photograph areas of the coastline where they spot litter or pollution. 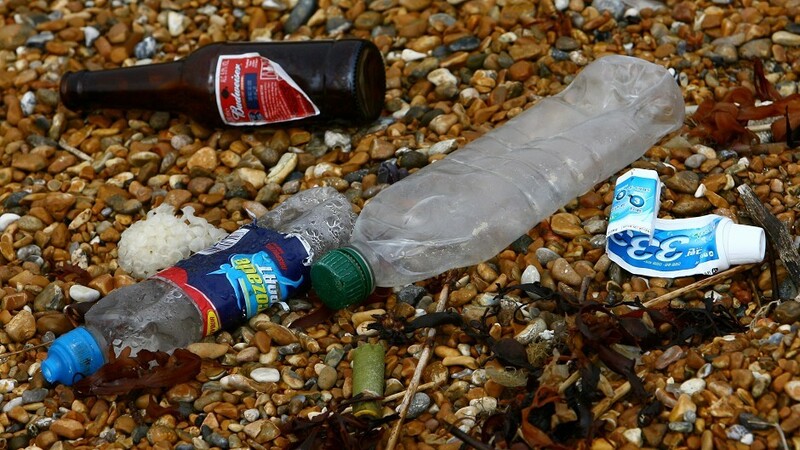 Sky Watch pilots have flown over sections of Scotland’s mainland coast for the last few months taking photographs when they see litter on the coastline. These are then classified to establish how much litter is visible on a scale of one to five, with five being the worst. The worst three areas identified in the north of Scotland are at Loch Fleet, near a national nature reserve close to Golspie in Sutherland, where 20 concrete “sleepers” have been left next to a railway line. Huna, situated between Canisbay and John O’ Groats in Caithness, has been identified as a fly-tip zone. While, on the north-west coast at Red Point, near Torridon, they have captured large tangled black piping, fish crates and scattered plastic. 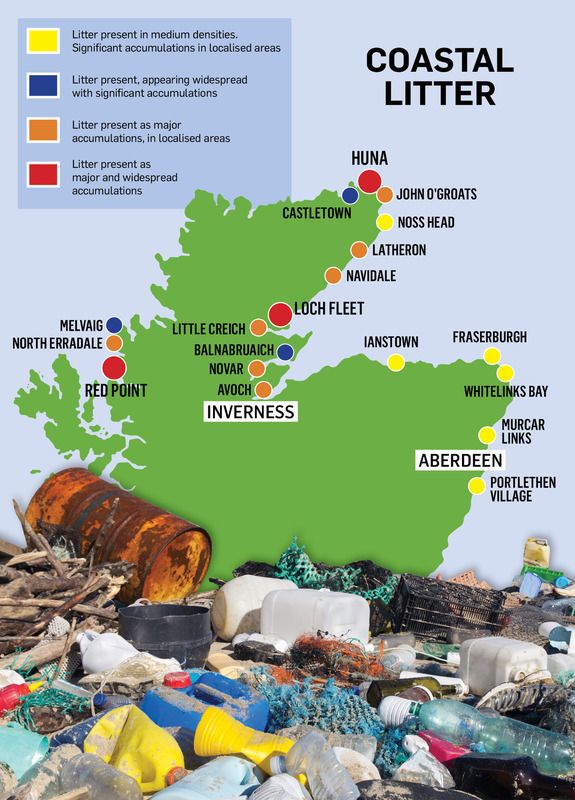 Other areas throughout the north and north-east highlighted included Ianstown, near Buckie in Moray, which had mixed litter on its coastline. North of Aberdeen, at Murcar Links, there was mixed plastic, rope and netting found, while at Blackdog there was plastic crates, bottles, jerry cans, rope, wooden pallets and tyres. Fraserburgh Bay had mixed plastic. Catherine Gemmell, MCS Scotland conservation officer, said: “With nearly 10,000 kilometres making up Scotland’s mainland coast we know there are many stretches of beach that have had no recorded clean up. Schools, groups, water sports clubs and councils are all being urged to use the website to find out where the worst affected areas are. The map is available at www.scrapbook.org.uk for anyone, from organised groups to schools, communities to individuals, to use. The SCRAPbook project was set up by the Moray Firth Partnership to help combat litter and the Scottish Government donated £23,000 to start the project. The Marine Conservation Society is the UK charity dedicated to the protection of our seas, shores and wildlife abd campaigns for clean seas and beaches, sustainable fisheries, and protection of marine life. Moray Firth Partnership plays a unique role as a neutral, independent charity promoting and facilitating sustainable solutions to the marine and coastal challenges faced by the Moray Firth and its communities.